Can I trade on my affiliate account? Yes, you can use you affiliate account for trading. There are no restrictions regarding it. Can I open a trading account and state it as my referral? No, you may not. 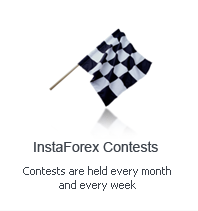 Auto referring is not allowed with InstaForex Company. Is there a way to make a trader who has already registered an InstaForex account by himself, not via an affiliate link, my referral? For this purpose you have to send us the information about this trader, the number and details of this trader´s account, the number of your affiliate account. I have a referral. Every time I try to check affiliate statistics I see nothing. You must have entered an incorrect password. What reward am I entitled to after I register as a partner? You will have 1.5 pips per deal. This is the standard practice all over the world. You can do it by sending them an affiliate link. Once they click on it, they are automatically registered as your referrals. You can also spread information amongst your friends. For them to be considered your referrals you need to specify their names and account numbers in a letter to the Partnership Department. Are there any restrictions for withdrawing a partnership commission? No, there are no restrictions. The commission can be withdrawn in full. There are no specific requirements. You can attract customers simply by spreading information among your friends, as well as working as an InstaForex Company representative in your region.